The information each time weighs less and we can carry all of our music, work and photos in a minimum size. Now, let’s do it in style with our enclosure APPHDD10x. Extremely compact and lightweight design. An ideal solution for data storage. 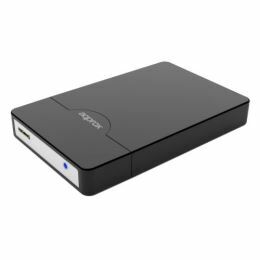 The hard drive external enclosure 2.5 “SATA is ideal for portable computers or for security backup of our valuable data! Maximum transmission rate up to 5Gbps.